Bambara beans or sometimes called Bambara nuts is a food that is greatly loved by some people in the world, especially in Africa because they can be prepared in varieties of ways before consumption. The scientific name is Vigna subterranea.They have rich nutritional value that makes them essential for enhancement of human health. Briefly in this post we shall be looking at some of those health benefits, which will give you more reasons to start eating them. Read on! Due to high content of minerals, these nuts are a natural remedy to safeguard the body from arthritis. 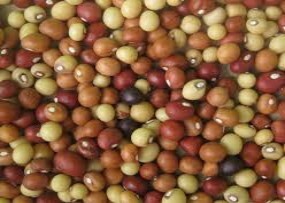 The bambara beans are best for management of anemia which is lack of blood in the body. The nuts are rich in iron that boosts blood levels in the body. The flour from these beans is ideal for management of malnutrition especially in children. This is because the nuts have high contents of carbohydrates, proteins, calories and varying minerals that boost the growth of the body. These beans are a natural remedy for insomnia. This is because the beans contain amino acids that stimulate release of serotonin from the brain hence bringing about mental calmness that leads to ability to fall asleep.